Little, Brown and Company, 9780316196796, 496pp. By spending a year with the New York Jets, Nicholas Dawidoff entered a mysterious and private world with its own rituals and language. Equal parts Paper Lion, Moneyball, Friday Night Lights, and The Office, this absorbing, funny, and vivid narrative gets to the heart of a massive and stressful collective endeavor. Here is football in many faces: the polarizing, brilliant, and hilarious head coach; the general manager, whose job is to support (and suppress) the irrepressible coach; the defensive coaches and their in-house rivals, the offensive coaches; and of course the players. Wise safeties, brooding linebackers, high-strung cornerbacks, enthusiastic rookies, and a well-read nose tackle-they make up a strange and complex family. Dawidoff makes an emblematic NFL season come alive for fans and nonfans alike in a book about football that will forever change the way people watch and think about the sport. Nicholas Dawidoff is the author of four previous critically acclaimed books, including the bestselling The Catcher Was a Spy and The Crowd Sounds Happy. He has been a Guggenheim Fellow, a Civitella Ranieri Fellow, a Berlin Prize Fellow of the American Academy, and an Anschutz Distinguished Fellow at Princeton University, and is now a Branford Fellow at Yale University. A Pulitzer Prize finalist (for The Fly Swatter), Dawidoff is a contributor to The New Yorker, the New York Times Magazine, and Rolling Stone. He lives in New Haven, Connecticut, with his family. "A riveting case study." 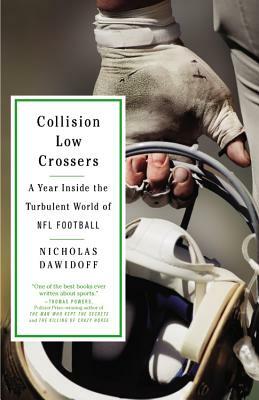 -- New York Times Book Review, "Editor's Choice"
"Entirely suspenseful, even when one knows how it will turn out.... Dawidoff has established a reputation as one of the best chroniclers of sports in American life.... A deeply nuanced look at an organization -- a business -- with characters who leap off the page." -- The Chicago Tribune, "Editor's Choice"
"An exceptionally detailed description of how the coaches of an NFL team prepare for and survive a season that turns out to be a disappointment.... Full of intriguing, creatively chronicled little moments." -- Bill Littlefield, WBUR's "Only A Game"
"A fascinating, incisive look at football, written in prose that soars like a perfect pass." -- Shelf Awareness, "The Best Books of 2013"